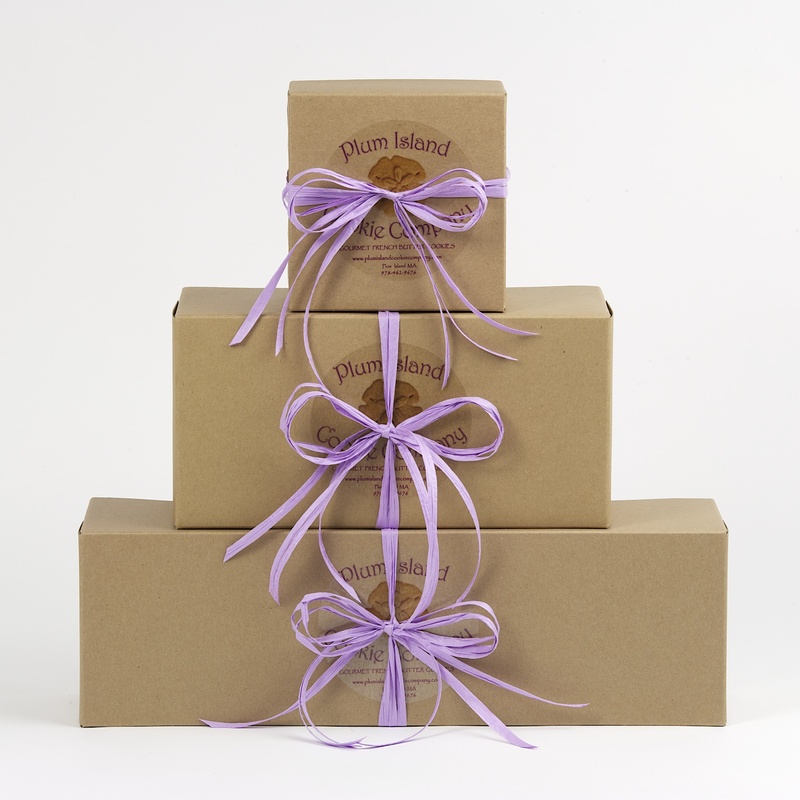 Tasting Box of Favors - Is offered to brides that would like to see and taste Plum Island Cookie Company's delicious French Butter cookies. The Tasting Box includes a 2-cookie Sand Dollar favor package adorned with a white sugar pearl center with a Tiffany blue satin ribbon, and a 1-cookie Sand Dollar favor package with a cookie dough center with white natural raffia ribbon. Please contact the bakery before you order so your Tasting Box can be customized for you with personalized hangtag samples and any other raffia or satin ribbon colors, or if you would like the Tasting Box to include a different cookie design.